You are in a newly constructed large apartment community or in an individual house, and you don’t know where to send your garbage. Throwing it on to the streets is illegal, and you are a nice person who wouldn’t do it. You have a solution now : igotgarbage.com (IGG). 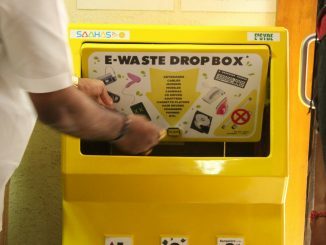 An initiative of Information Technology company Mindtree, in association with Hasirudala, Saahas Zero Waste, Daily Dump and other stakeholders who manage IT city’s waste, IGG connects the waste collectors who dispose it responsibly, to waste generators who want to see their waste managed responsibly. Prashant calls rag pickers as micro-entrepreneurs. Rag picking isn’t a skill but a laborious job. In some cities, you will find rag pickers walking for miles, while in Bangalore you will find them treading on a tricycle. Their hunt is only for one thing – recyclable dry waste. It is very difficult to search plastic waste in heap of mixed waste. None of us would think of inserting our hand in our household dustbin but these rag pickers do. On daily basis! The unhealthy working conditions cause the waste pickers to live with an average life expectancy of 39 years, while infant mortality among them is very high – 1 in 3. Providing them a good environment to work improves their living conditions. This is the core idea behind the initiative. Many people complain that BBMP Pourakarmikas or the truck drivers mix the segregated waste. this de-motivates them many a times. IGG has a solution for this: Hire a rag picker! The initiative already has 5,251 waste pickers and 6,900+ households enrolled. These rag pickers will ensure your waste reaches at the right stop. Wet waste to the composting unit, dry waste to the recycling units and bio medical waste to the authorised incinerators. However, hiring a rag picker is only available for bulk generators like apartments, offices etc. For individual households and even for apartments, IGG offers a service wherein you can donate your dry waste. IGG estimates that every day a person living in urban Bangalore generates 350 grams of dry waste while enterprises generate 200 grams per head. This includes discarded plastic, used paper, old newspapers, glass and pet bottles, wrappers and so on. Once you sign up for donating the waste, an authorised ragpicker shall ring your doorbell to collect it. What will happen if I calculate what is my waste score? You needn’t do anything. Authorised volunteer shall come to your door step with their kit and measure how much waste you generate. If your waste score is above the city Gold Standard, you will be felicitated with an “I Got No Garbage” certificate which you can proudly display outside your apartment complex, office or home. But, whether you are interested to know your position or not, play the game – it’s interesting. Here is what IGG has to say: “The average Bengaluru household generates 2 kgs of total waste in a day. On an average, 1850 grams of that goes to landfills. But there are many Bengalureans who send less that 200 grams per day to landfills. On the top of the charts is an apartment whose waste footprint is a mere 63 grams.” Play to find out where you stand, and you will get tips on how to get to the within-100 gram club. The platform has brought down operations overheads, turnaround times for reports/invoices have gone down, and effort for managing field operations is beginning to reduce. But most importantly, the NGO partners are now ready for scaling up without the risk of getting overwhelmed due to volume. Though formally launched on June 17th, 2014, IGG has been around for an year now. Currently, the I Got [+]Garbage platform captures daily transactional data of waste collected, segregated and sold at 34 dry waste collection centers (DWCCs) operated by Hasiru Dala. This would eventually result in building relevant reports for both the general public as well as the government. 5251 wastepickers trained by IGG have been given ID cards that certify them as registered wastepickers in their respective wards. Through the I Got Garbage platform, the NGOs provide management support to help the wastepickers transform themselves into uniformed workers, with the promise of environment-friendly disposal of waste. A mail from Mindtree team working for this initiative puts it as part of their social inclusion charter. “We are not expecting I Got Garbage to add to Mindtree’s revenue. We are expecting to help create large scale livelihood for the 1.5 million wastepickers in India,” it adds, hinting at a pan-India expansion plan by collaborating with various local players. Mindtree is planning to launch a platform themed around community engagement, intended to spread awareness about waste segregation and waste-picker services, that enables citizens to connect, collaborate and contribute to the cause of waste management in multiple ways. I Got Garbage uses the power of IT to add predictability and structure to the work of the informal sector (wastepickers, scrap dealers) and social businesses. It is a Cloud-based IT platform, and offers capabilities such as an ERP for wastepickers, Citizen Engagement Platform, Waste Management Services Marketplace, and a wastepicker Benefits Tracker. The theme is, “dignified livelihood for wastepickers” and “less landfills for all”. 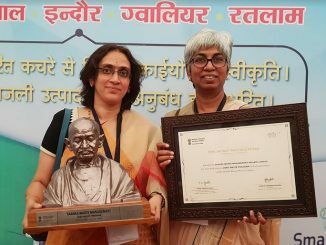 The awards are a recognition for Saahas model of bulk waste management and Daily Dump model of miniature composting at homes. The recently concluded Bengaluru Marathon 2014 was indeed an example of responsible racing, with waste management being given priority.